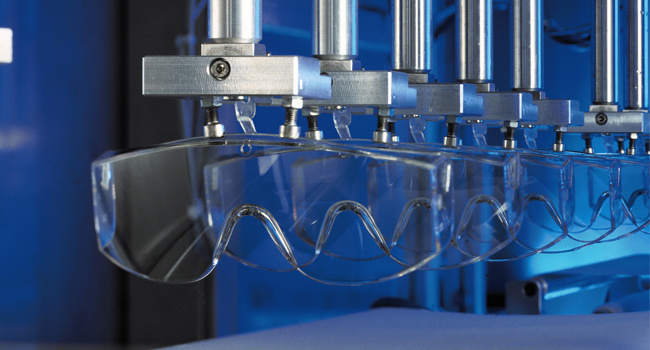 Safety spectacle lenses are usually coated to prevent fogging and/or scratching. An anti-fog coating is especially important for high humidity environments or physically demanding work, such as in the paper or food industries. For work involving high dust exposure, for example on construction sites, an effective scratch-resistant coating is necessary so that dirty lenses do not become scratched when they are cleaned. This improves the comfort of the person wearing the safety spectacles, allowing them to concentrate to the best of their ability on the most important thing – their work. The eyes are the most important and at the same time the most sensitive sensory organ. Approximately 85% to 90% of all perception involves the eyes. The protection provided by body’s natural features, such as eyelashes, tears, eyelids and blink reflex, rarely suffices in the industrial working world. Personal protective equipment (PPE) is required if risks in the workplace cannot be entirely eliminated through technical and operational procedures. European legislation stipulates that it is the employers’ obligation to analyse the dangers in the working environment and, where required, ensure protective eyewear is made available to employees free of charge. The standards for PPE have been defined in European Directive 89/686/EEC, while the guidelines for eye protection fall under EN 166. This is intended to help company owners fulfil their commitment to accident prevention regulations and government occupational health and safety directives as well as showing ways in which work-related accidents, illnesses and health hazards can be prevented. 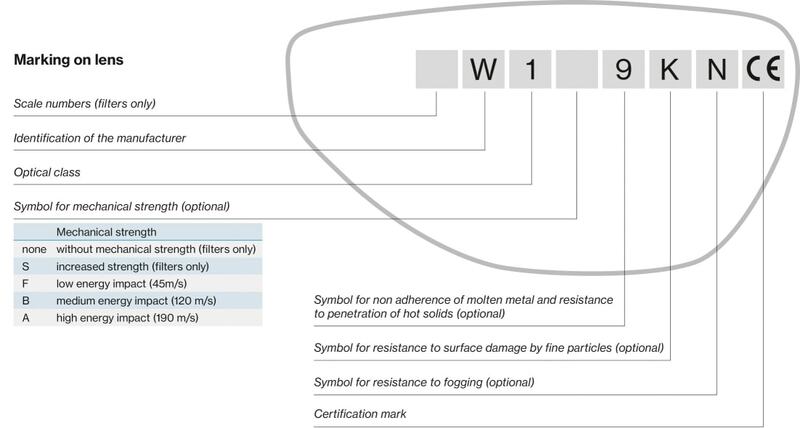 What do the K and N labels mean? 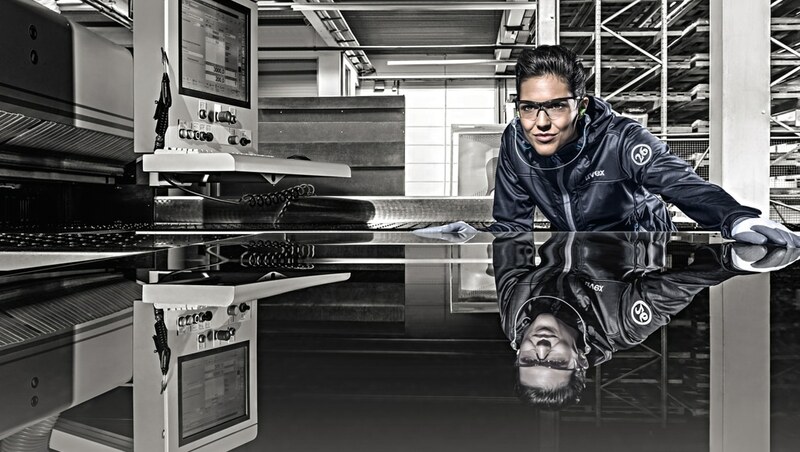 If safety eyewear is labelled K, the lenses have been certified in accordance with the standard EN 168 as resistant to damage from small particles and as having a light density coefficient that does not exceed 5. If safety eyewear is labelled K, the lenses have been certified in accordance with the standard EN 168 as resistant to fogging and as remaining fog-free for at least 8 seconds, even after immersion in water. uvex’s coating systems that are developed and produced in-house far exceed the the requirements of the standard EN 168. Please do not hesitate to contact us with any questions. Please email expertenblog@uvex.de and we will be happy to help.